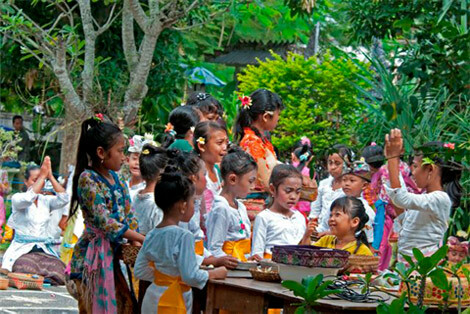 We work hard until we achieve a beautiful piece of loveliness. 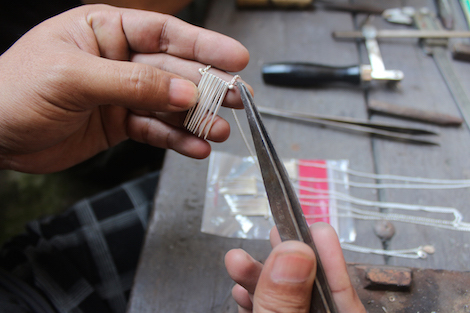 Mimi + Marge oversee the production and manufacturing of the jewelry making that takes place in Bali, Indonesia. 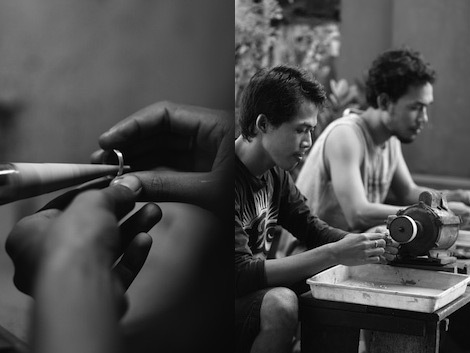 We work together with local craftsmen and artisans in a collaborative process creating new and unique handcrafted pieces every season. 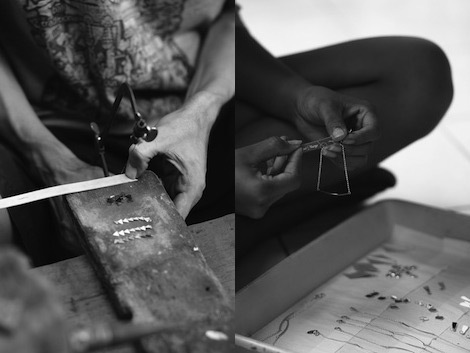 Mimi + Marge create jewellery using only recycled silver and no harsh chemicals are used in the cleaning process. 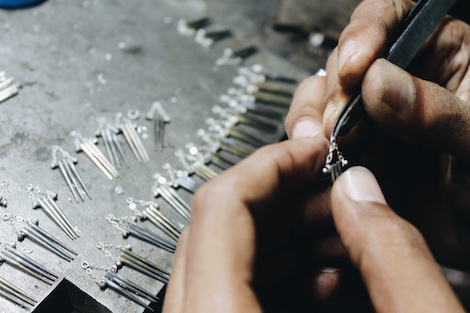 Using sterling silver, many of our designs are fabricated which means that each piece is worked by hand. We also use a variety of local materials in our designs which include local Sono wood and Mother of Pearl. For our Golddigger collection, we use gold vermeil which is 24k gold plate over sterling silver.